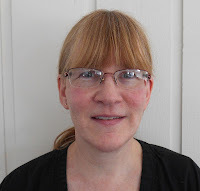 Meet Jill Majers, the May Challenger for Desire to Inspire, who has presents of her own to give you! Meet Desire to Inspire May Challenger, Jill Majers. Hi, My name is Jill Majers. I live in a small town in central Utah. We moved here recently and have spent the last seven months trying to get settled. We’re getting there but it takes a while. daughter-in-laws, and three grandchildren. We love the times when we can all get together and spend time enjoying everyone. boredom, only lazy minds so get busy. As a young mother I sewed most of my children’s clothing, as well as a good portion of my own. In 1993 we moved to northwest Montana to an area that has a passion for quilting. I had always wanted to quilt and since my children were getting older and no longer wanting homemade clothing, it seemed that now was the perfect time. I took a beginning class and loved it. 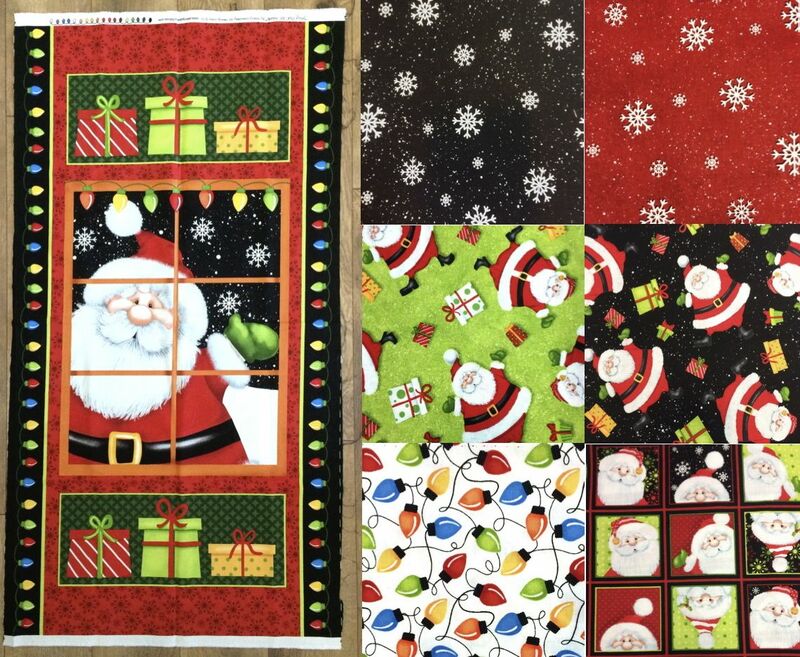 I love the challenge quilting provides and especially enjoy designing quilts. 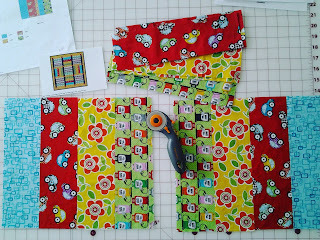 I love piecing, applique both by hand and machine, and foundation piecing. I also love buying fabric! separated the panel into separate projects and had a wonderful time just creating with it. 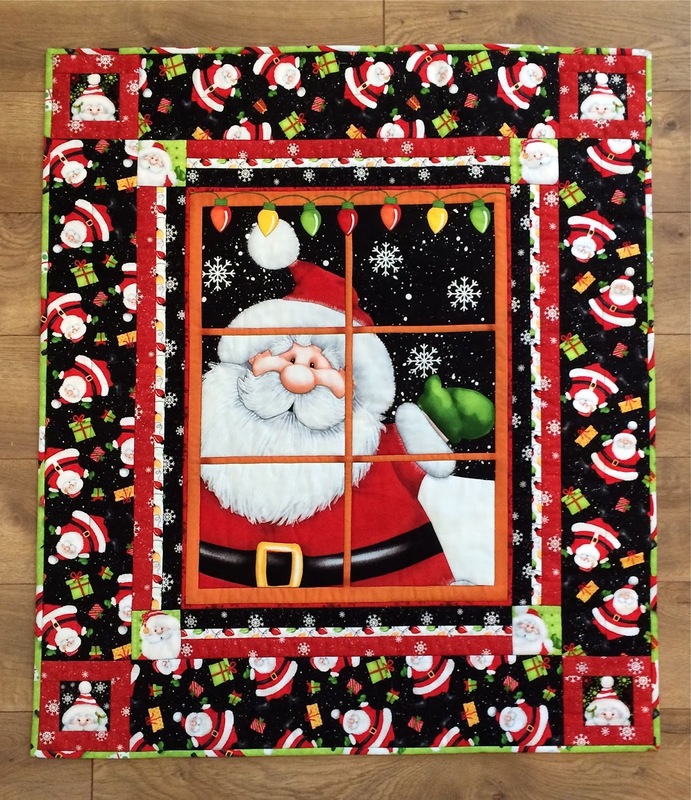 First I used the large center Santa and made a wall hanging. 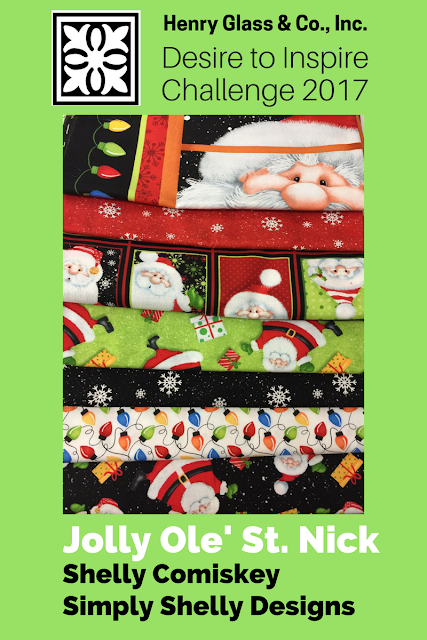 I included all of the other fabrics that I was supplied with in the project. 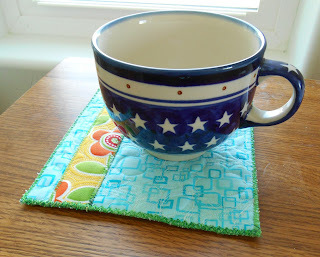 make a table runner. 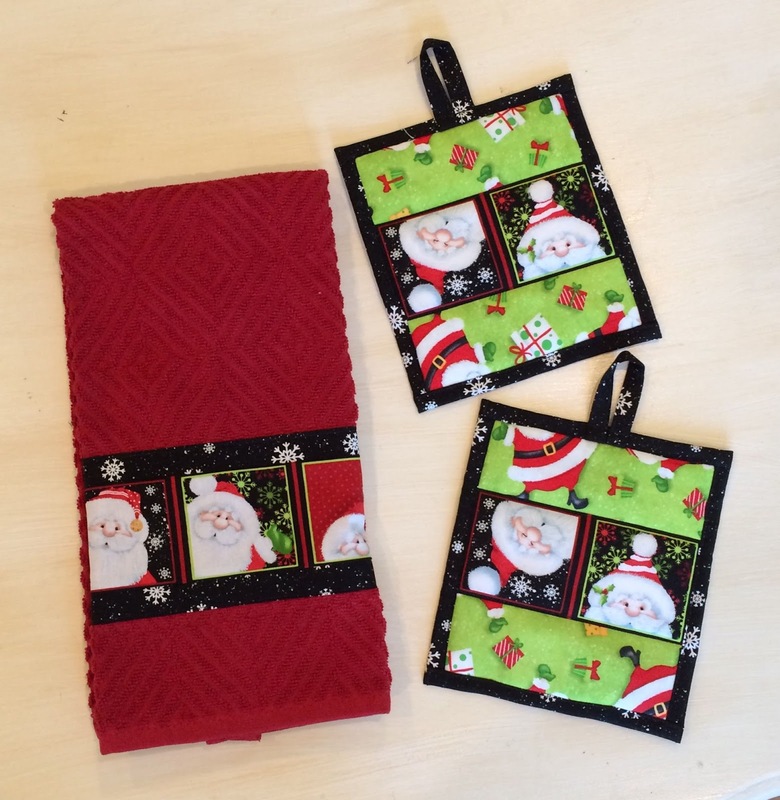 I also included many of the other fabrics in this project. Last I made two sets of potholders with matching hand towels. the first one again used the the large Christmas lights, on the sides of the panel, and the fabric with the all over small Christmas lights. The potholders are backed and bound with red snowflake fabric. The second set is the only project that doesn’t include anything from the panel. I used the Santa face fabric, the black snowflake fabric and the green scattered Santa fabric. would like to try any or all of them. I’m also on Instagram at @jill.majers. Jill has included a PDF of the instructions for all these projects here! Look at all these beautiful 1930's reproduction prints in florals, novelties, and dots. 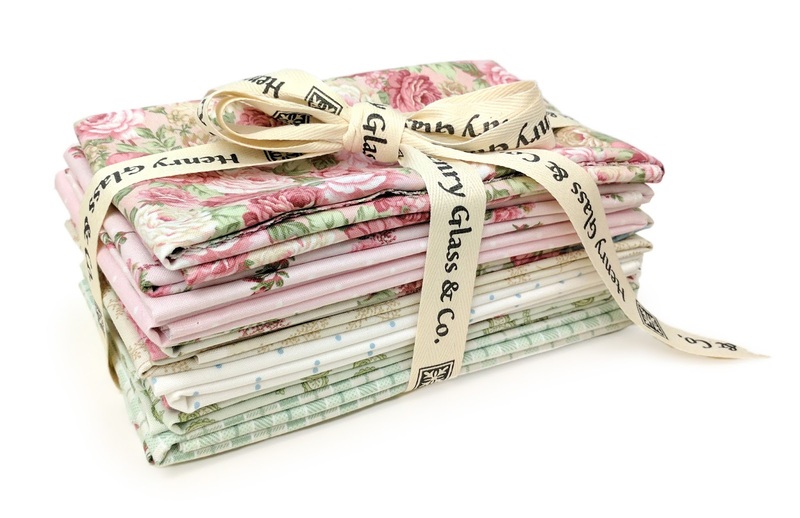 This week's giveaway is a 10 pc bundle from the Nana Mae collection from Henry Glass Fabrics. Desire to Inspire - Request for June Challengers! 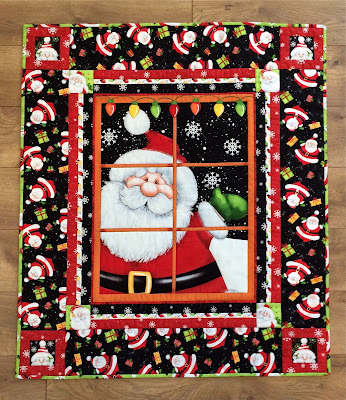 There is something cozy about working on Christmas flannels in June, with the air-conditioner blowing and the sun shining bright! Everyone loves snow in June, especially when it's just a sweet memory! 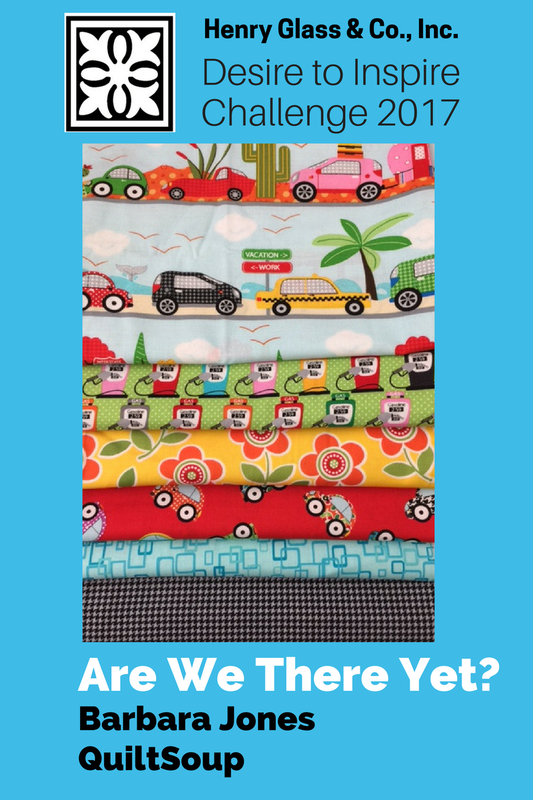 Would you like to have this beautiful batch of fabrics to make some fabulous projects for this month's Desire to Inspire Challenge? We want you to put your name in the hat for this month's challenge! Comment on this blog post or email vanessa@jaftex.com. If you have put your name in before, PLEASE do so again! This might be your lucky turn. PLEASE REPLY AS SOON AS POSSIBLE! We will pick someone on Friday, June 2, 2017. This is how it goes: 1. YOU sign up below with your email or blog name to this post, or email your information* to vanessa@jaftex.com 2. WE pick a winner. 3. YOU send us your address.4. WE send you the "I Still Love Snow" fabrics shown above.5. YOU make something AWESOME during the month of June, with pictures and your story.6. WE post it. 7. YOU keep it. *We would like to have challengers show us they can meet the challenge, so please comment with your blog posts, or pictures of projects you have completed. Give us SOMETHING so we can rest assured you can do this!!! Even great ideas count! Please do your best to stand out, and you will have a great chance of being selected. There are three ways to win this 10 pc bundle in the giveaway this week. 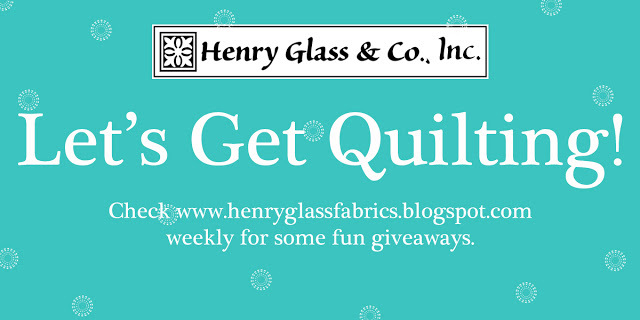 We are asking you to go and vote for your favorite NEW collection on the Henry Glass website in the What's New section. We have just released the Summer collections, so it's your turn to tell us what you love! This week's contest will not be awarded until after the Memorial Day holiday, so you have an extra day to win! These Gemstone Batiks are magical and marvelous in their coloration and designs. 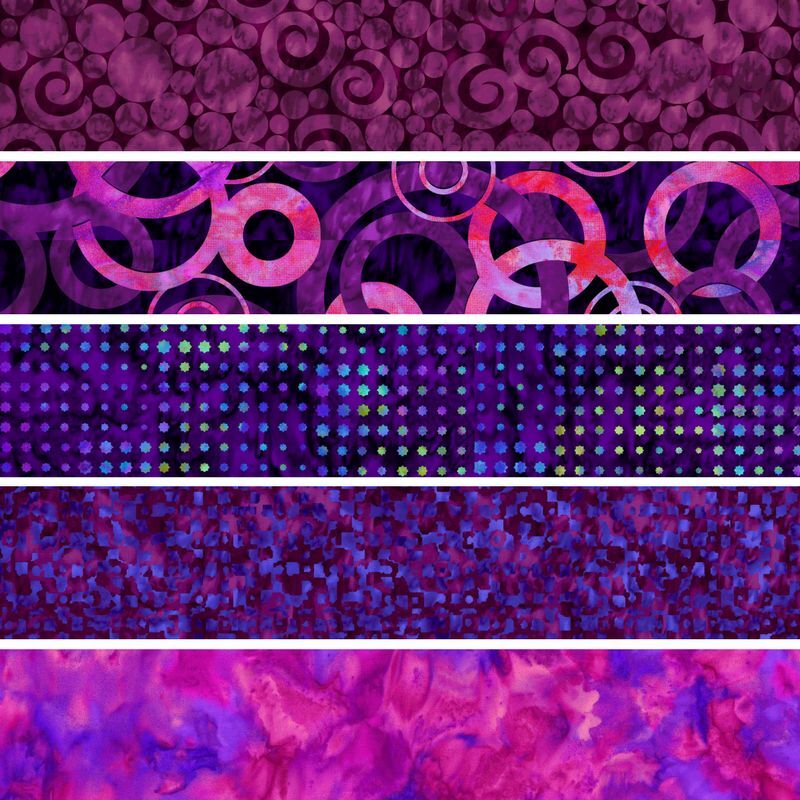 Here are some of the designs close-up and HERE is the full collection! 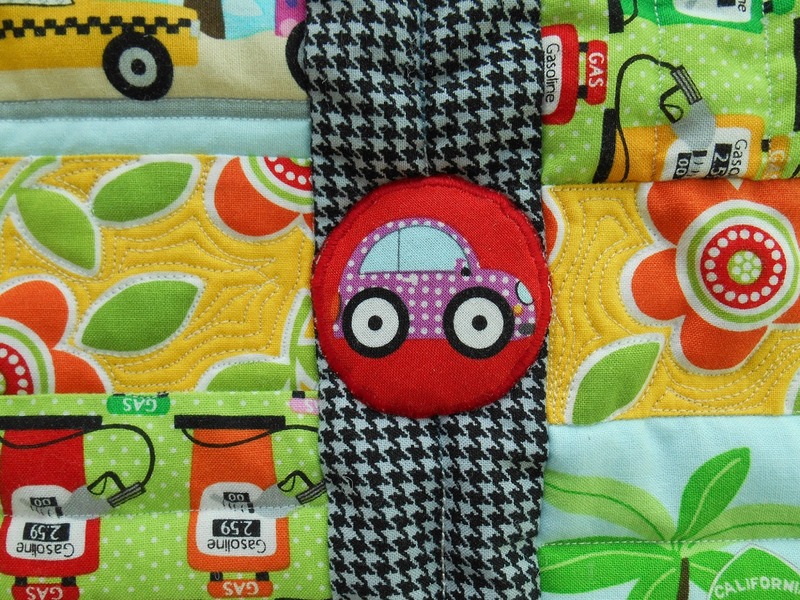 Sweet flannel designs in gender neutral colors - all designed by everyone's favorite designer, Kim Diehl. 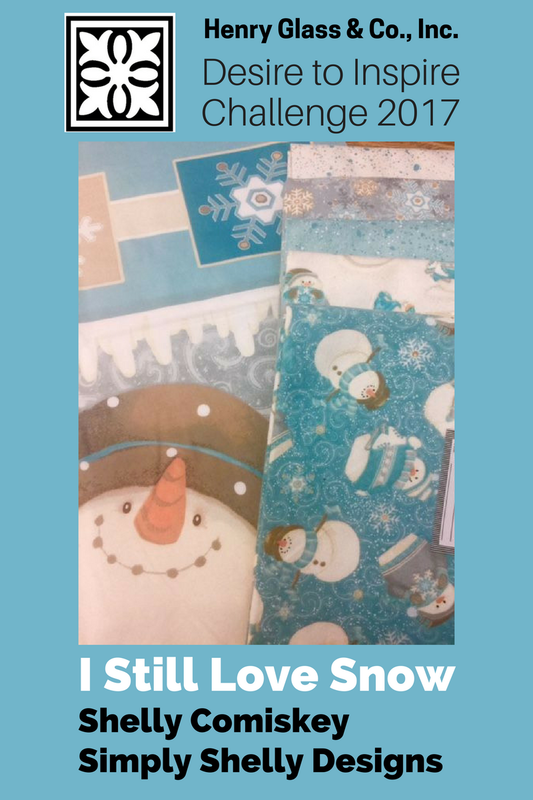 These baby styles are wonderful in tandem with her book written with Pat Wys on super cute baby projects called "Baby Bliss: Adorable Gifts, Quilts, and Wearables for Wee Ones." Here is the Ric Rac Paddywack collection that will be in your pre-cut set of strips and 10" squares. This is a two week giveaway period so get in on this contest for the Ric Rac Paddywack Flannel Pre-cut Set. Desire to Inspire April Challenger has done it!! Denise Losczyk accepted our April Desire to Inspire Challenge with Barbara Jones of QuiltSoup's collection, "Are We There Yet?" And here is her fantastic results! Be sure to comment below the blog to celebrate this accomplishment! My husband Ron and I recently moved to Camp Verde, Arizona. It is a very friendly town officially located in the geographic center of the state. It is known for its many pecan trees, annual Pecan and Wine Festival, and for its annual Fort Verde Days celebration which is held at the Fort Verde State Park, located in Camp Verde. We enjoy walking, gardening, observing nature, and tending to our new orchard and pecan tree. Ron is the main gardener, and I am his assistant. I loved gathering our first pecans from our tree this past fall. They have become a staple in our diet! Our new home is in a nice location, it is semirural, we have the benefits of walking in a small town, and having our own mini farm (no animals though!). We are enjoying our new life on our one acre lot that is irrigated, which is unusual in a high desert environment. With our new home came my beautiful studio space. It has a walk in supply closet, and plenty of natural light. Working on this quilt was a great way to begin creating in the new studio. 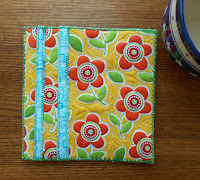 Quilting has become my main art form. I made my first quilt top at age sixteen, from lessons from my Grandma Hazel Bell, while visiting on her Iowa farm one summer. She taught my cousin Jean and me how to quilt. I made a nine-patch quilt using gingham and floral scraps left over from sewing clothes. We made cardboard templates for cutting out the squares, drawing around each template with a pencil. This was before rotary cutters were widely used. 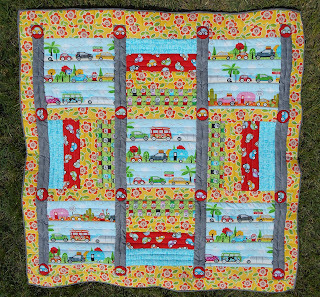 Some blocks were stitched by hand and some by machine. The quilt is unfinished, as I wasn’t sure about my color choices at the time. I may have to go back and complete it one day! I’ve always had the need to be creating and making something. As a youth I took art classes, and later went on to study in college and received a BFA and MFA in Art. I created in many different media, including photography, video, audio, drawing, and photo silkscreen, but I’ve always been drawn back to the textile arts. 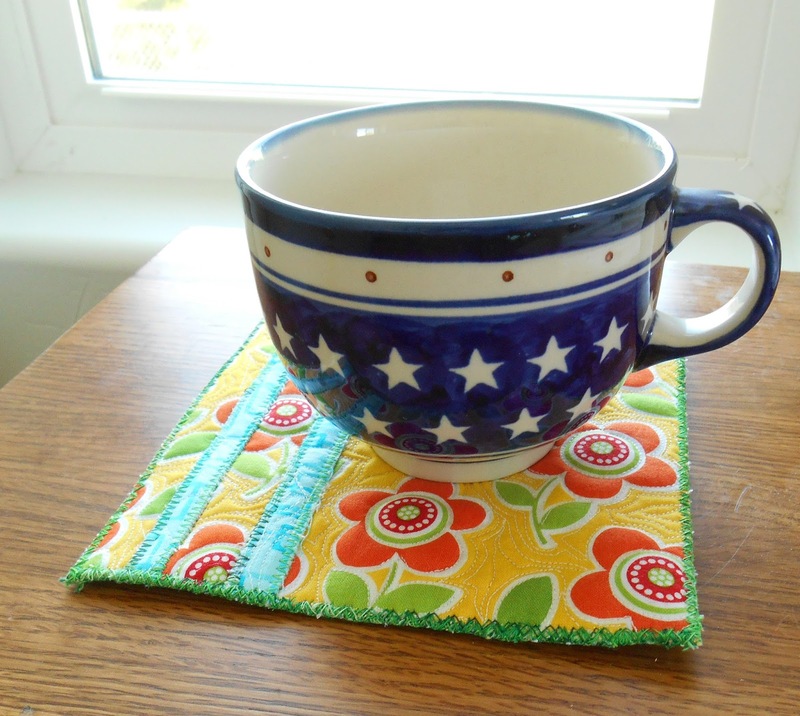 I believe it is because I’ve been surrounded by textile creations, quilts, crochet, embroidery and tatting all my life. I love incorporating many of the skills I’ve learned in other media in fiber art. 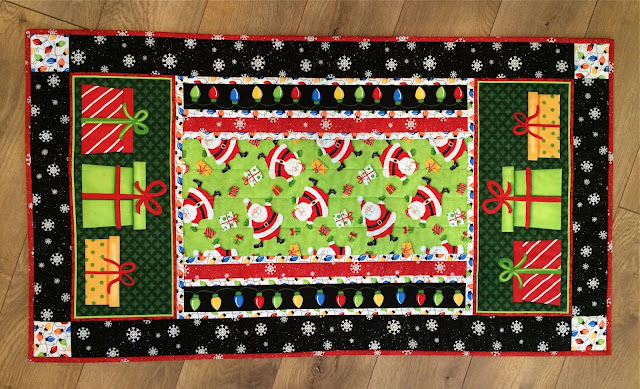 I consider myself an art quilter, though I believe all quilts are art, especially when we create our own designs and manifest them in fabric, utilizing the incredible art of fabric designers. 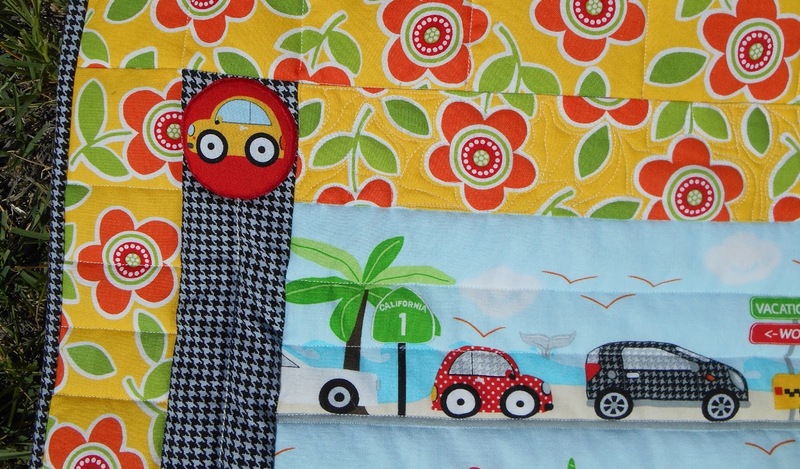 I love designing my own quilts using my imagination and incorporating traditional quilt blocks. 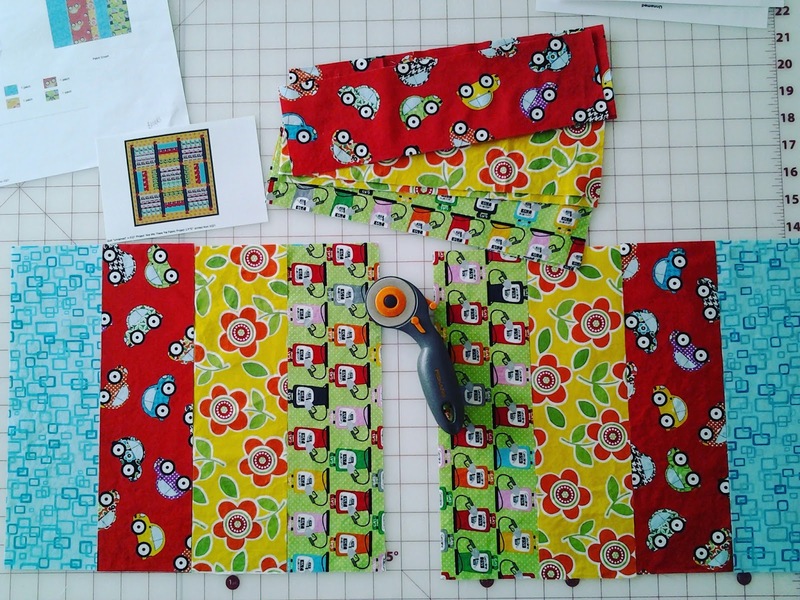 One of my favorite design tools is the EQ7 Quilt program. 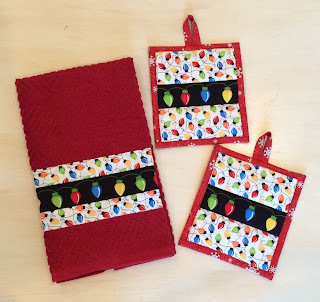 My favorite techniques are using piecing and applique together and embellishing with embroidery, beading, needle-felting, and tatting. There is always a new technique to learn and explore. I love entering quilt challenges and shows, fabric challenges are fun, because the fabric inspires the quilt design. 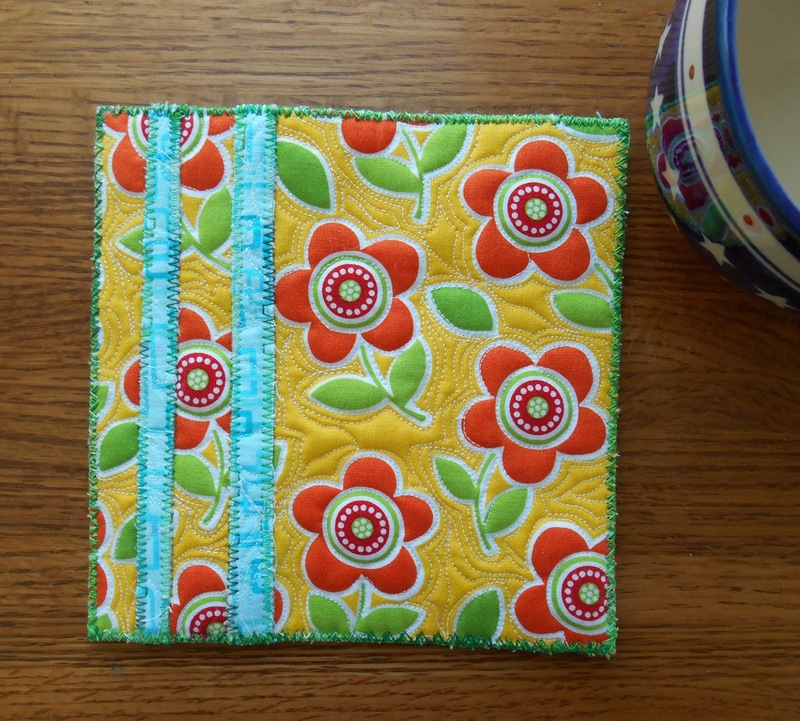 Many of my quilting skills were acquired from reading books and watching quilt videos. Also, much can be learned just from experimenting with fabric. 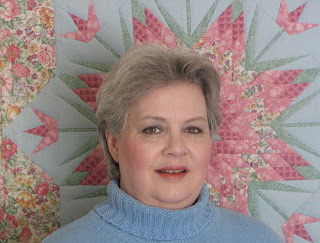 I learned quite a bit from watching videos on www.QNNTV.com and I am a member of an online site: www.thequiltshow.com. 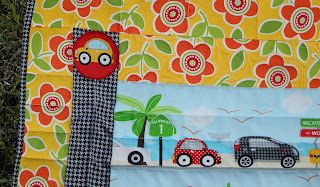 I also belong to SAQA (Studio Art Quilt Associates) www.saqa.com. After arriving in Camp Verde in September of last year, I entered a quilt in the 2016 Camp Verde Quilt Show, which was on display in conjunction with the annual Fort Verde Days celebration in October. The Camp Verde Quilt Show is held every two years. It is a non-juried show and is open to all quilters in the area. We were invited to meet with the Quilt Show Planning Committee and Ron and I helped with setting up the show. It was a wonderful welcome to our new town and a great way to make new friends. We have meetings monthly to share ideas for the show, visit and share projects we are working on. 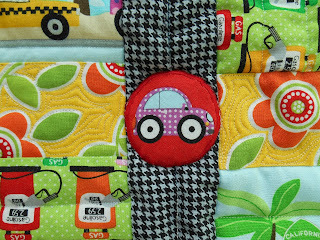 I shared my “Are We There Yet” work in progress with them earlier this month and they loved the fabric! I feel like I’ve discovered a pot of gold in Camp Verde. 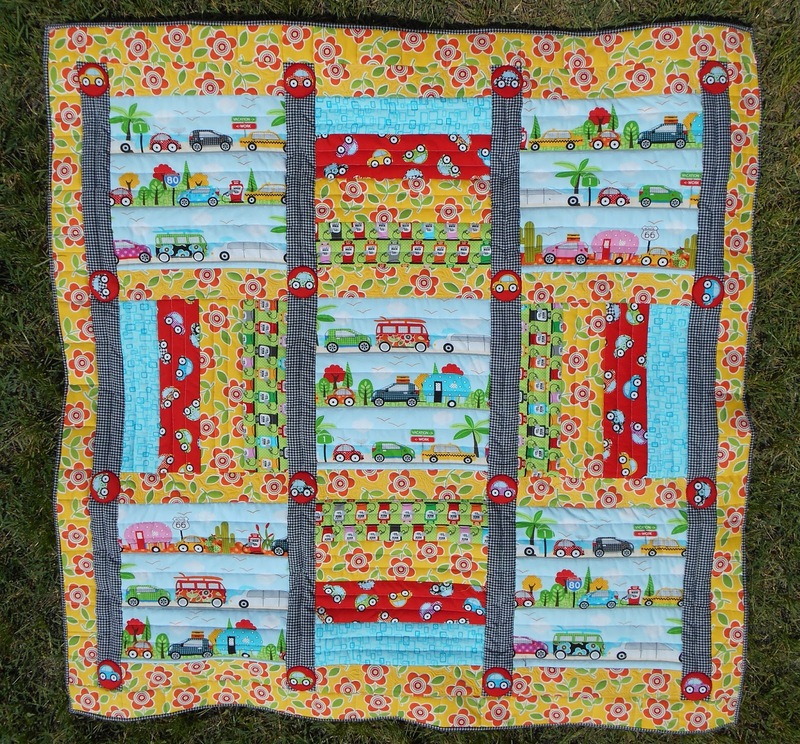 I’ve met many more quilters here in this small town than while living for several years in a large city, or even in my hometown in Iowa. People are very warm and welcoming here. More of my creations can be viewed on the gallery page on my blog at: www.dbl-art-design.com. Also, please visit my Facebook page at Denise.Losczyk, and my Instagram page @dblosczyk, for art work, and views from our daily life. You can find out more about Camp Verde by visiting www.visitCampVerde.com. Thank you for the fun experience of being the April Desire to Inspire Challenger! I hope my creations have inspired you!